Designed by Toast Design, Australia. 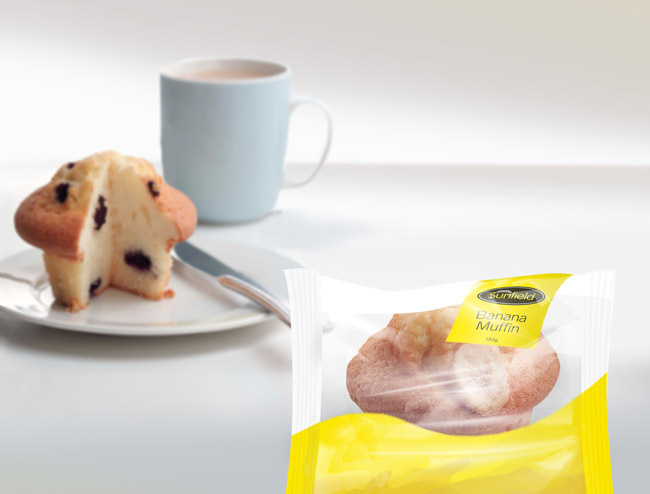 Sunfield are makers of fine quality baked goods, with biscuits (cookies), cakes and muffins available throughout Australian supermarkets. Using only the best ingredients, their price-point is above that of competitors, but discerning customers have always been happy to treat themselves. We were recruited first to give the Sunfield brand a complete overhaul, and then moved on to the development of new packaging designs for their range of boxed biscuits, wrapped muffins and wrapped bar cakes. 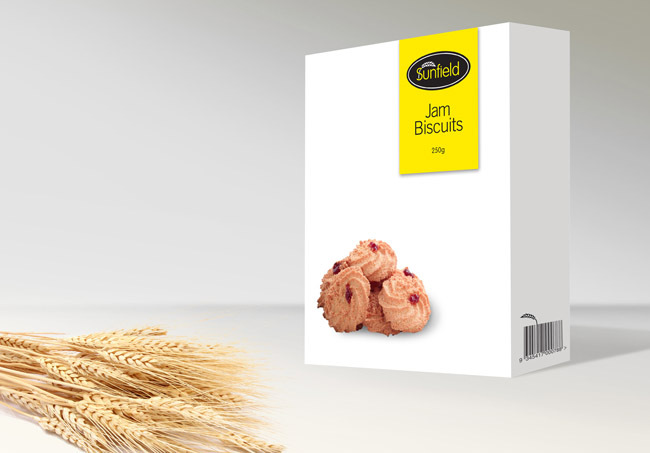 Over the years, new products and flavours had been added to the Sunfield range which caused some discord amongst the range. 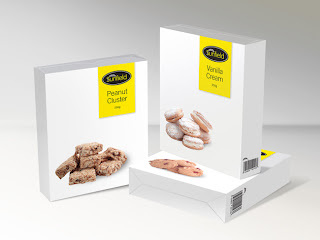 Our brief was to bring the quality of the packaging designs in line with the quality of the products, to convey the purity of the ingredients, to differentiate from competition, to freshen up and visually unify the range (which are often strewn across different areas within each supermarket). 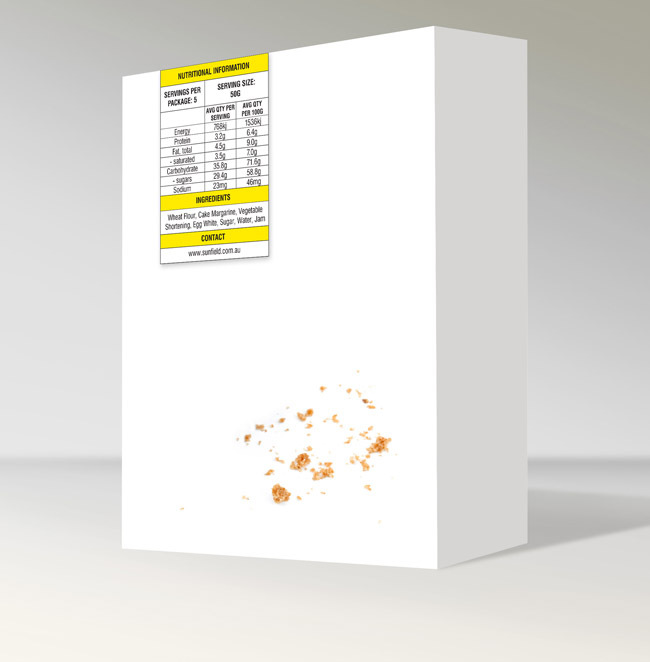 Assessing competitors, it was clear that a simple, clean, minimal design would address the requirements of the brief, making it a cinch to stand-out on shelf. 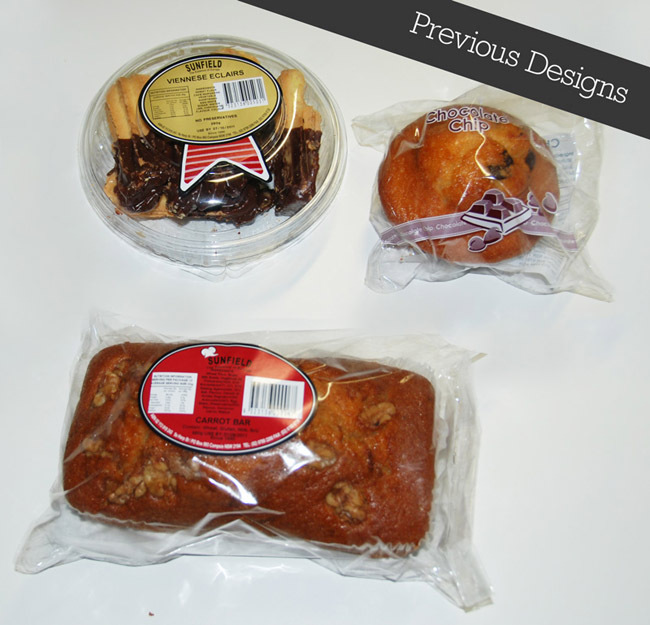 Anything deemed unnecessary was culled from the design, freeing up space and enabling the packaging to attain maximum impact through minimal content. Simplicity is good, but in this case, i think this looks way too minimalistic, maybe add something else so it doesn't look too blank? A bit too white, but it might really stand out from all those really complicated designs on the shelves! I love the simplistic packaging. If this sat on shelf with 15 other competitors it would stand out from the rest of them. There is a fine line between minimalist packaging that looks high end and that looks like a no name brand. I think this is sitting close to the line but on the higher end/better quality side. Looking at their previous designs its a major improvement. I appreciate the effort of standing out from the crowd by using a stark white box and focus on the product photography, but there is certainly a fine line between looking minimally upscale, and minimally no frills. I don't quite think the yellow & white are selling it to me as an upscale 'purveyor of fine baked goods' feelings unfortunately.